The gap between humanitarian and development needs and financing is growing, yet largely we still rely on just a few traditional sources of funding. How do we mobilize alternate sources of capital to support communities? At a time of reduced public budgets and support for aid, the humanitarian sector faces increasing challenges in finding consistent sources of revenue to meet growing needs. The UN estimates suggest that developing countries will need more than $2.5 trillion a year to achieve the SDGs by 2030 and that the vast majority of these funds must come from non-governmental sources. Moreover, as observed by the UN’s High-Level Panel on Humanitarian Financing, the urgent financial needs thrown up by immediate humanitarian crises is already outpacing available financing to the tune of $15 billion, and those needs are only likely to rise in an era of climate change, political instability, and increasing intra and inter-state confrontation. The global humanitarian appeal for 2017 was a record $23.5 billion, targeting 93 million people in need of assistance. This is 5 times what it was a decade earlier, for more than 3 times as many people. 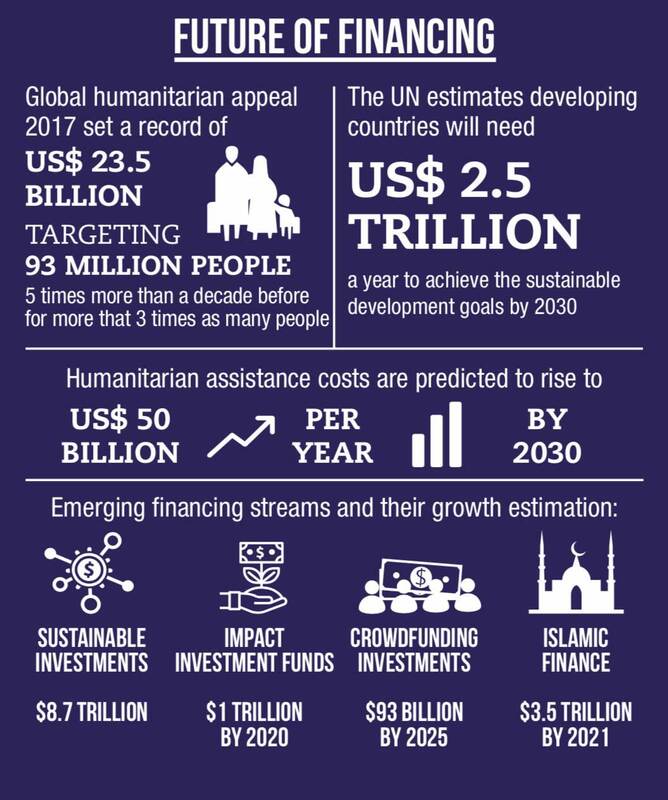 Humanitarian assistance costs are predicted to rise to $50bn per year by 2030 on the basis of current trends. By then, two-thirds of the world’s poor could be living in conflict-affected countries. Governments in traditional donor countries face growing pressures against aid spending, including stagnating or reversing growth, the pressures of ageing populations leaving the workforce and requiring support, rising anti-globalist sentiments in their electorates, and declining public trust and confidence in institutions, including charities. At the same time, donors – government, philanthropy, corporate or individual – are increasingly demanding evidence that aid programs and services are making a difference. However, in 2015 alone, international humanitarian assistance accounted for just under $14 billion of all international resources delivered to the 20 largest recipients of humanitarian funding. This is a fraction of the estimated $85 billion from remittances, the $41 billion from foreign direct investment and the $33 billion from development assistance. Emerging financing models provide a much wider pool, unique in terms of their market size, their operations and the way they serve those in developing countries. They range from equity-based crowdfunding campaigns and peer-to-peer fundraising to smart remittances, impact investment (such as payment-by-results contracts, outcomes-focused grants, shared value, debt and equity financing, social impact bonds) and mobile money, which can provide a part of the solution to address the financing gap. Instruments such as Islamic Finance assets, globally estimated at 2.5 trillion annually, are playing major roles. FinTech applications, such as Blockchain and cryptocurrencies, are disrupting traditional finance players, rewriting services, reducing transaction costs and offering more to the under-banked – people or organizations who do not have sufficient access to mainstream financial services and credit. The size of these alternative financing instruments dwarfs current ODA and humanitarian financing. Impact investments alone are estimated to exceed 1 trillion dollars annually, experimentation with these models will be essential, however they will require a substantial shift that may be challenging to execute; significantly greater focus on efficiency, accountability, evidence that can prove impact and advanced data capability, along with an acceptance of the mechanisms of new funding flows that may contravene current policy and practice in the RCRC, such as direct giving and global crowdfunding across multiple markets. The financing environment is far less tolerant of duplication and waste, with greater scrutiny on accountability and transparency. There is already increasing pressure to cut out ‘middlemen’, reduce layers of administration and ‘Northern based’ oversight. Current practice, which often involves multiple arms of the Movement operating in the same country all with parallel and deep structures, may need to be reformed, and in time we may see increased efficiency imposed as conditionality. How do we anticipate the likely financial architecture of the humanitarian sector in the coming years? How do we lay the foundation for and lead in experimenting and mobilizing alternate sources of capital? Do we, as a network, have the risk appetite necessary to engage with them? What new partnerships are needed and what new models need to be conceived to unlock alternate sources of capital and support? While National Societies recognize the urgency and importance of shifting reliance away from traditional back donors to significantly under-utilized capital markets/models, these are complex mechanisms that require upfront investment and significant infrastructural shift in practice, including in data, service design, transparency, accountability, and demonstration of impact and new approaches to financial management and risk. Efficiencies of scale will be increasingly important which while difficult for many NGOs, can be achieved within the RCRC network and with partners but will require new operating models and greater coordination and collaboration.  The potential for scale will also be attractive to financiers from new sources of financing, particularly those that deal in very large sums of transaction, the respectability of the Red Cross and Red Crescent brand and the legitimacy it offers, if it can be maintained, will also be a useful organisational bonus for engaging with new financing mechanisms. communities living in neighborhood have, huge, innovative potentials/resources in which they help each other/ especially the vulnerable members in the neighborhood./ They have copying mechanism ( savings, using simple and traditional resources that may require minimum financing. Hence revitalizing community volunteerism and self-help schemes play vital role at a time where funding from external sources are going down. Thank you for your comment. Your ideas and reflections will be taken into account for Strategy 2030 development process. There are many actors playing same role. Proper utilization of resources will avoid redundancy, overlapping. Thus partnership between competing actors working in same communities for same cause can be minimized and increase the equitable redistribution of resources.